Contortionist and Ribbon Dancers will Entertain and Provide Photo Opportunities on the NJ Camera Showroom Floor. “This will be our most exciting camera show yet, and just in time for the holidays when people are taking so many pictures and looking for the perfect gifts,” said Unique Photo President Alexander Sweetwood. Learn how to take better pictures this holiday season and shop for some of the hottest new cameras and accessories at Unique Photo’s New Jersey Camera Show from December 9 – December 11. 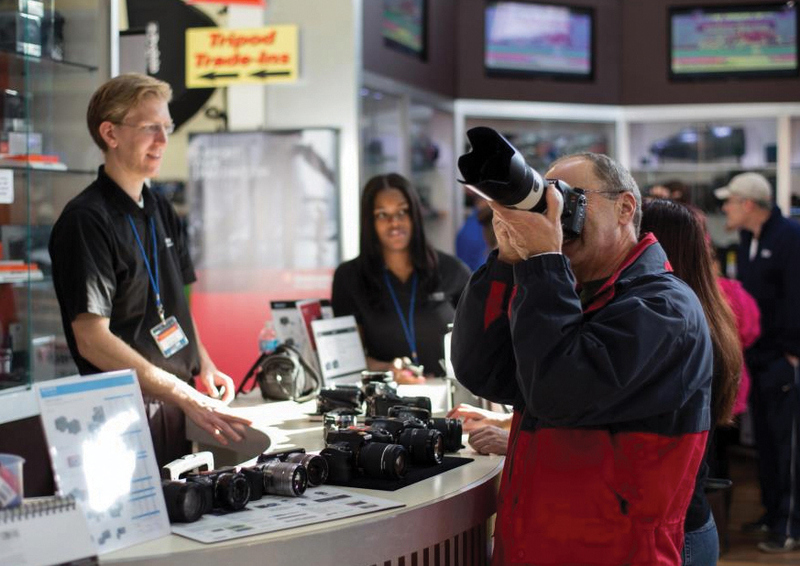 The three-day photography extravaganza will provide photo enthusiasts from beginners to professionals with the opportunity to take free photography classes and participate in exciting photo shoots at Unique Photo’s flagship store located on Route 46 in Fairfield. Unique Photo, the largest camera store in the state, will transform its 50,000-square-foot, state-of-the-art superstore into the free public event. Some of the show’s top attractions will include the artistry of Cirque Du Soleil-style performers and professional models who can be photographed during the event. Food trucks, raffles and giveaways will add to the festivities. Attendees can sample and purchase the latest products at the lowest prices of the year through “show-only” sales from more than 40 of the industry’s leading manufacturers. Forty free classes from basic level to advanced--and every level in between--will be taught by renowned photographers and industry professionals. Classes range from camera basics and black and white imagery to landscape, portraiture, fashion, action photography, lighting, post-production photoshop and much more. Manufacturers scheduled to attend include Canon, Nikon, Olympus, Sony, Panasonic, Leica, Lexar and Fujifilm. Attendees will have the opportunity to trade in their old camera gear, enjoy discounted sensor cleanings, and have the chance to win prizes throughout the three days of the show. Unique Photo will also be unveiling their newly-renovated photo lab where customers can easily create custom photo albums, holiday cards, gift items and keepsakes in a modernized, comfortable environment. Unique Photo’s New Jersey Camera Show evolves and grows every year with over 4,000 people attending last year. This year is expected to attract more photo enthusiasts for its new opportunities to take classes taught by industry luminaries such as National Geographic and Pulitzer-Prize winning photographer Jay Dickman, along with Lindsay Adler, Hanson Fong and Ben Lowy. Friday, December 9 --- 10 a.m.- 6 p.m.
Saturday, December 10 --- 10 a.m.-6 p.m.
Sunday, December 11 --- 10 a.m.-5 p.m.
Photo enthusiasts from beginners to professionals will be able to demo the newest camera and video equipment and accessories from leading manufacturers, participate in exciting photo shoots with professional models and Cirque Du Soleil-style performers, have the opportunity to enjoy exclusive sales, and take free classes. Unique Photo is New Jersey's largest camera and video superstore offering the latest in photographic products and imaging technology. Its 50,000-square-foot, state-of-the-art facility in Fairfield, N.J. features a spacious photography retail store, multi-media learning center, professional photo lab, meeting space, gourmet coffee bar and WiFi lounge. Unique Photo recently expanded to Hoboken with a second store providing a full line of services for its customers. Additionally, Unique Photo is the top destination for photography education in New Jersey, hosting more than 1,000 amateur and professional photographers monthly for its classes. “Unique University” instructors include world famous photographers, industry guest lecturers and Unique Photo’s professional staff. For more information, visit http://www.uniquephoto.com or call 973-377-2007. 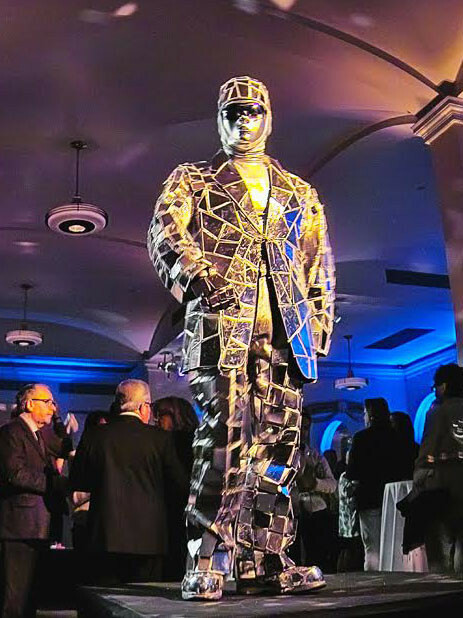 Mirror Man will Appear for Photo Opportunities and Entertainment. Demo and Purchase the Newest Camera and Video Equipment.